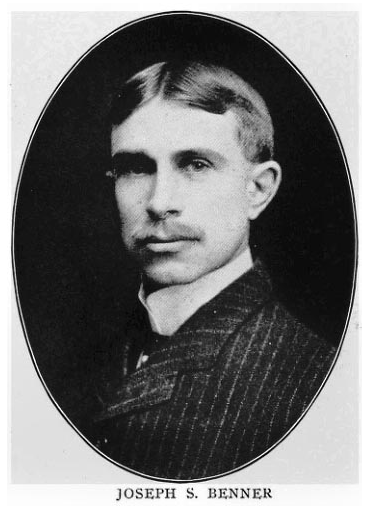 Joseph Sieber Benner, who wrote the book The Impersonal Life anonymously in 1914, and who also founded the Impersonal Work, considered himself not a leader but a follower of the Great Leader, the Great I AM; a humble scribe in the hand of the Divine Father, the Impersonal Life; an instrument attuned to vibrate to the Divine Voice of Him who dwells within all men and women. During his sojourn on this plane, Mr. Benner endeavored to avoid the pitfalls into which his brothers had fallen. Instead of setting himself up at the head of his students, he remained sheltered behind the cloak of anonymity, choosing rather to let the Impersonal Message speak with the Voice of the Authority behind it.